Liz Marie thought of a great way to keep her most-used makeup handy, yet still technically out of the way. 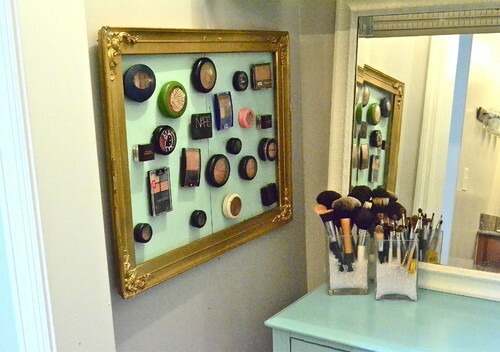 She glued small magnets on the bottom of her makeup, attatched them to a lovely mirror, and voila! Creative and pretty, too!